Jason Garner’s new book weaves modern-day tales of celebrity with age-old spiritual teachings. His journey – at times raw and always heartfelt – is an inspiration to every reader, young and old, on a quest for self-examination, self-realization, and the real meaning of health, happiness, success, and love. 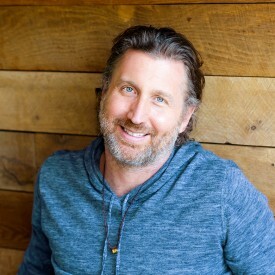 Jason Garner is a husband, father, former Fortune 500 company executive, and spiritual student who spent the first 37 years of his life working his way up from flea market parking attendant to CEO of Global Music at Live Nation—never taking a breath in the belief that to be loved he had to be the best.He has worked with rock stars and sports legends and was twice named to Fortune magazine’s list of the top 20 highest-paid executives under 40. A series of events centering on the sudden death of his mother from cancer caused him to re-evaluate what really mattered in life…and to finally breathe. He has spent thousands of hours sitting cross-legged at the feet of timeless Masters of mind, body and spirit including learning from the monks at the Shaolin Temple in China. From an open heart and a sense of confident vulnerability, he now shares the lessons learned on this journey and what he continues to discover through the daily adventure of life at JasonGarner.com.